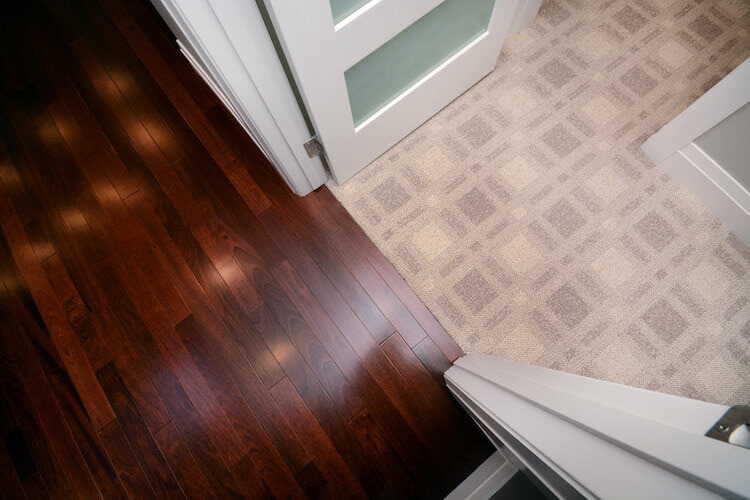 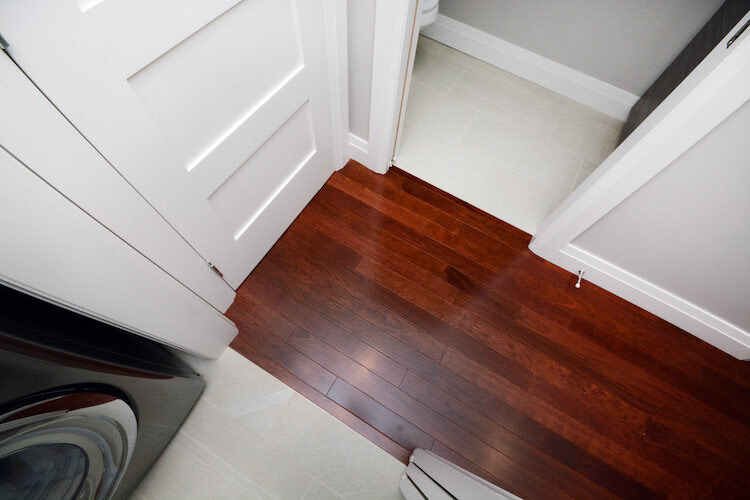 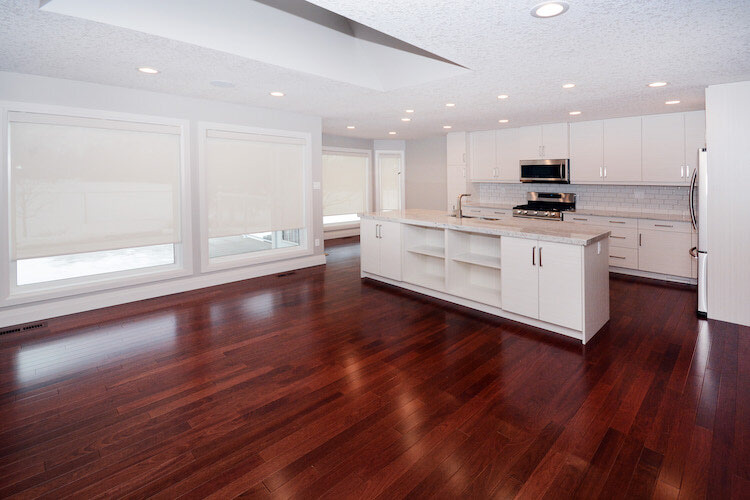 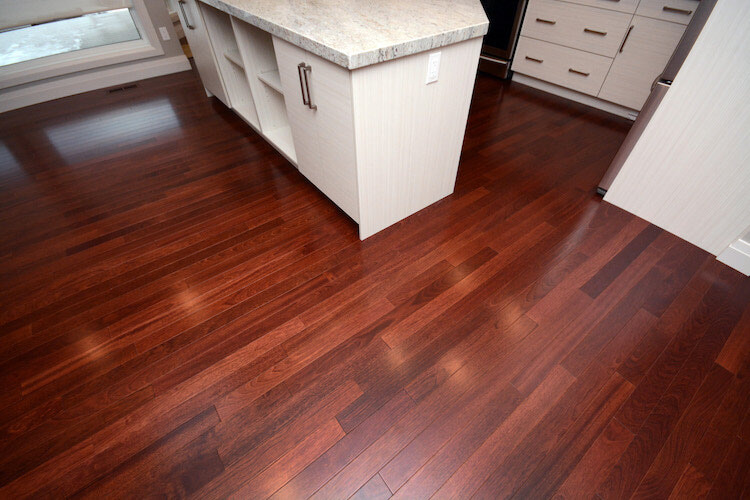 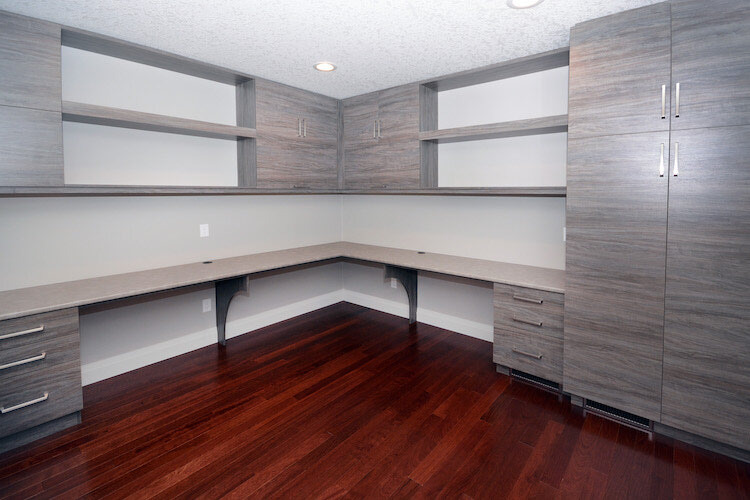 Dark and stunning brown/red Brazilian Cherry hardwood was installed in many of the main rooms bringing an exquisite look with the semi-gloss finish. 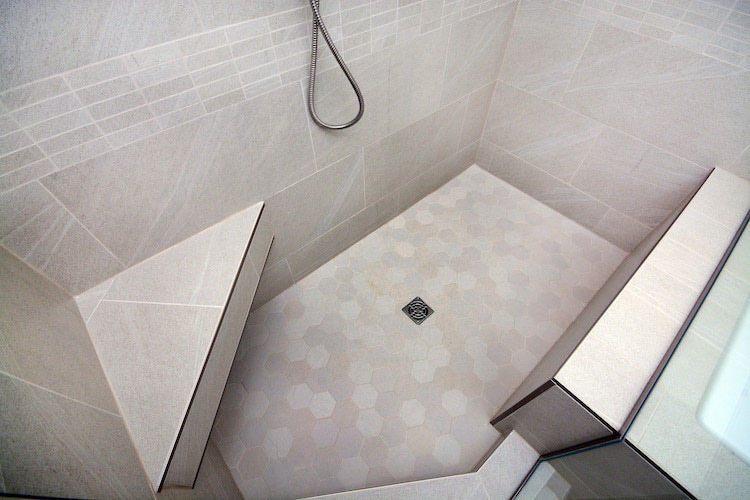 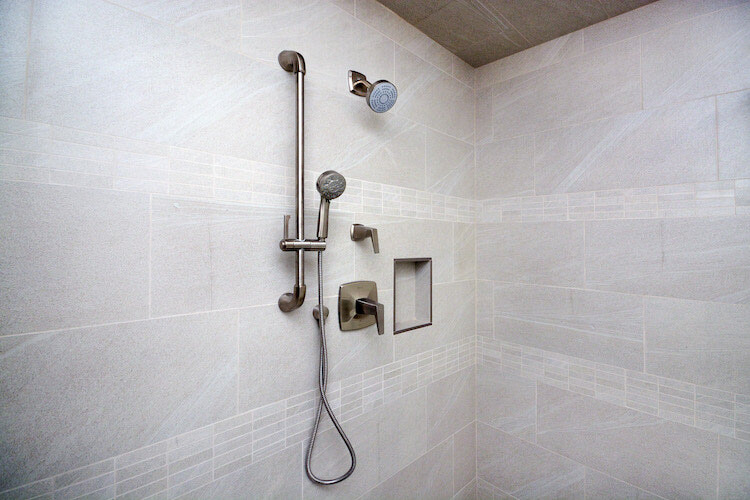 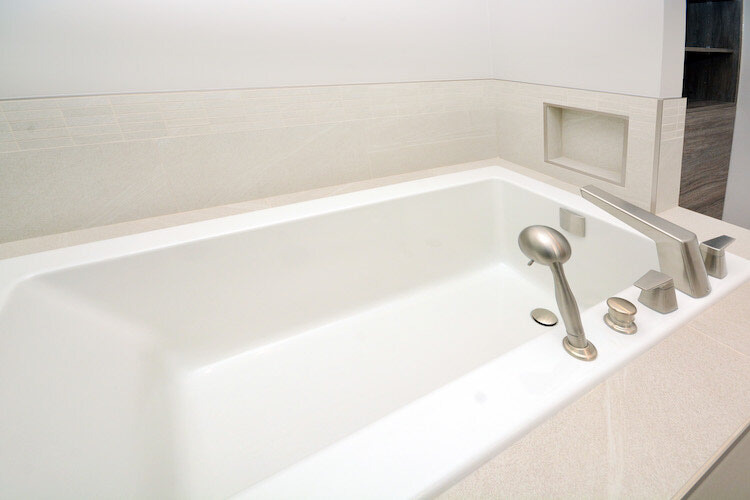 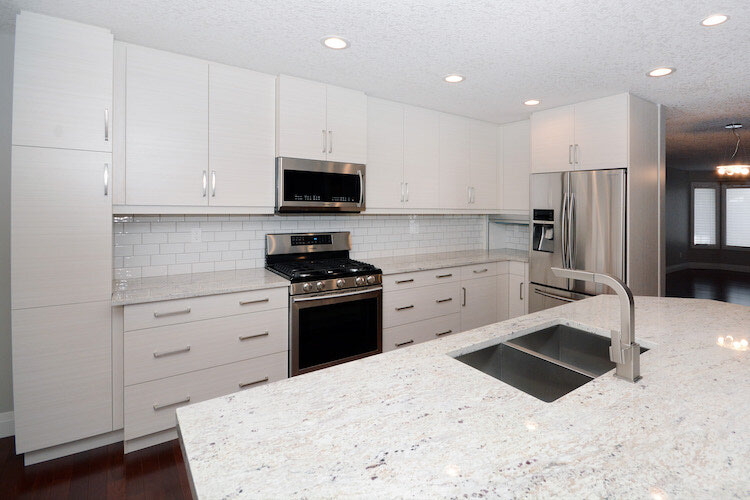 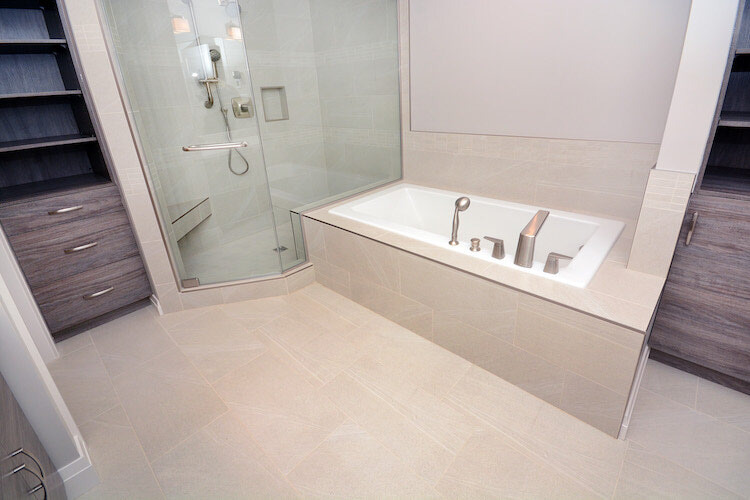 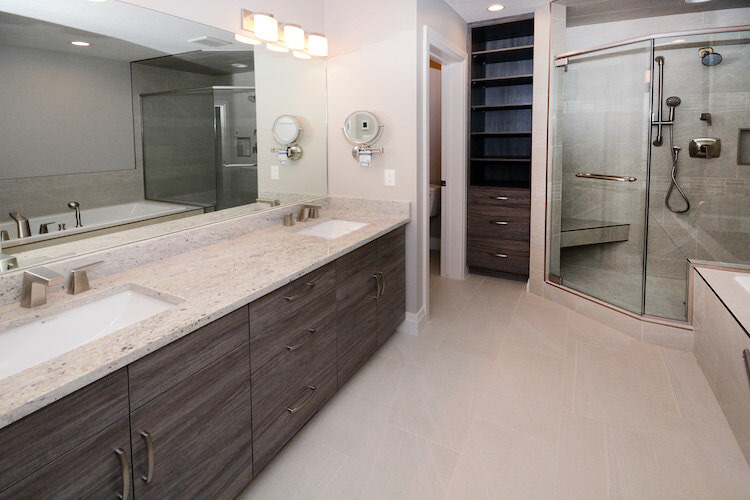 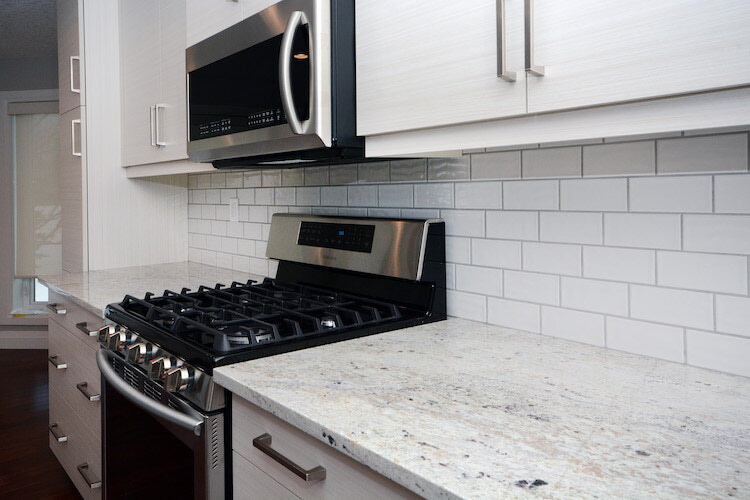 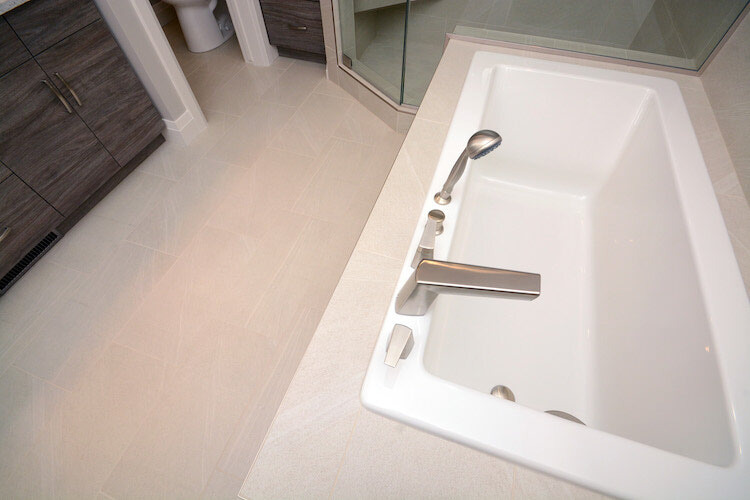 As well see the superb and intriguing tile work our installers did in the ensuite, powder room, and laundry room. 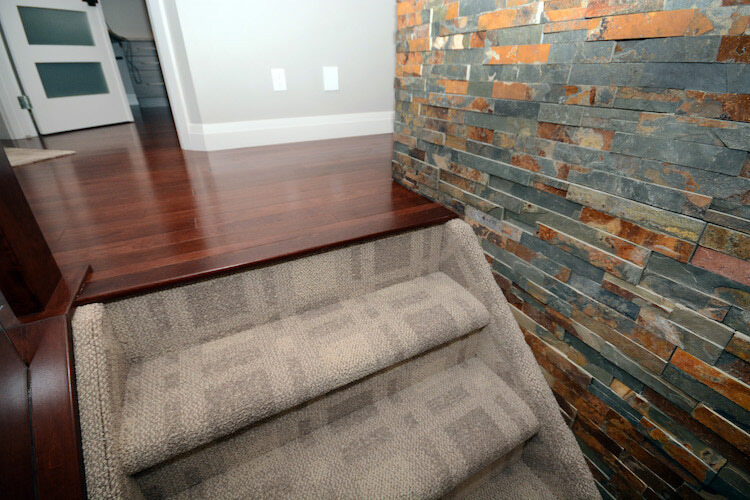 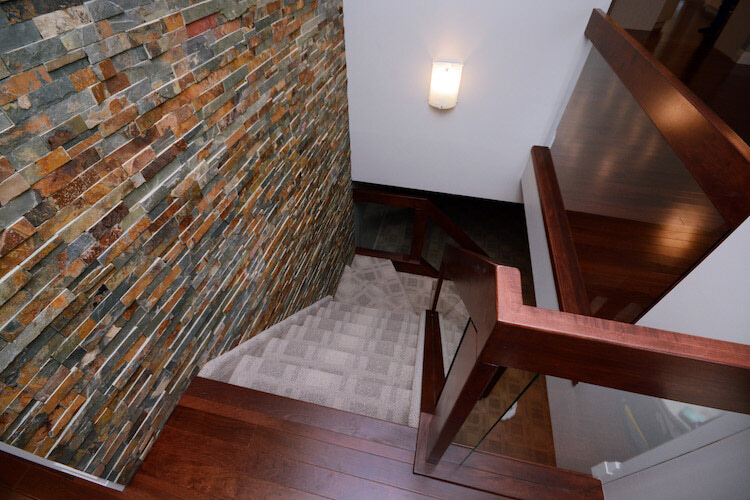 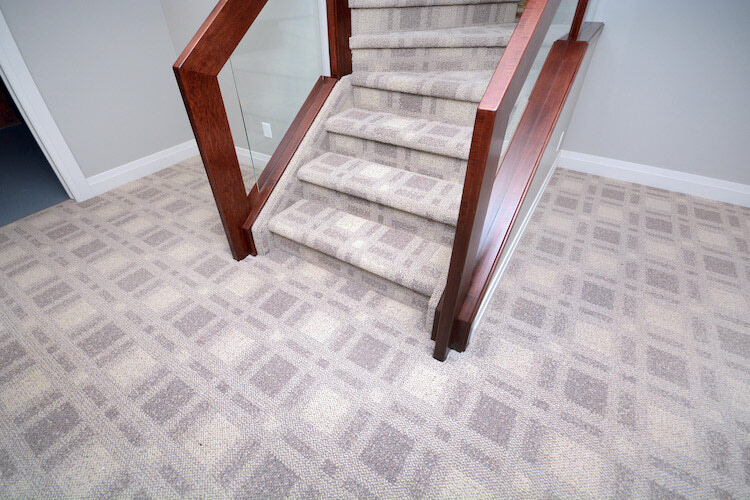 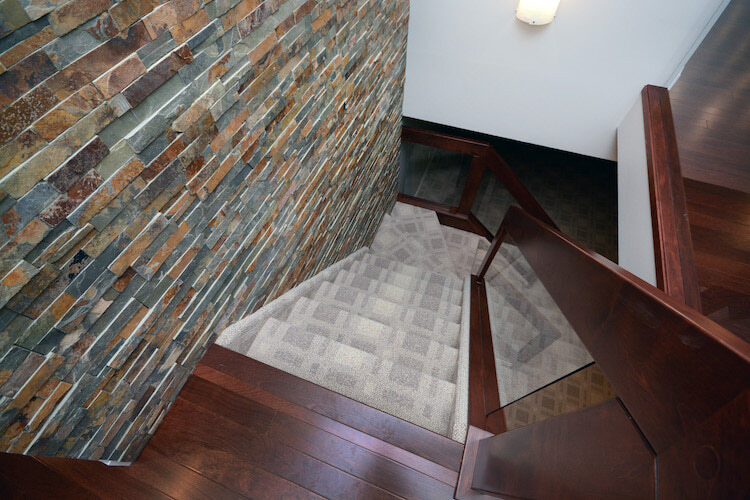 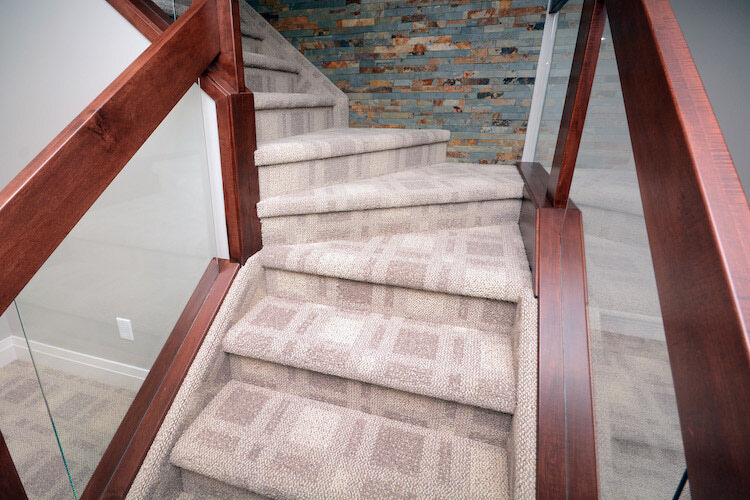 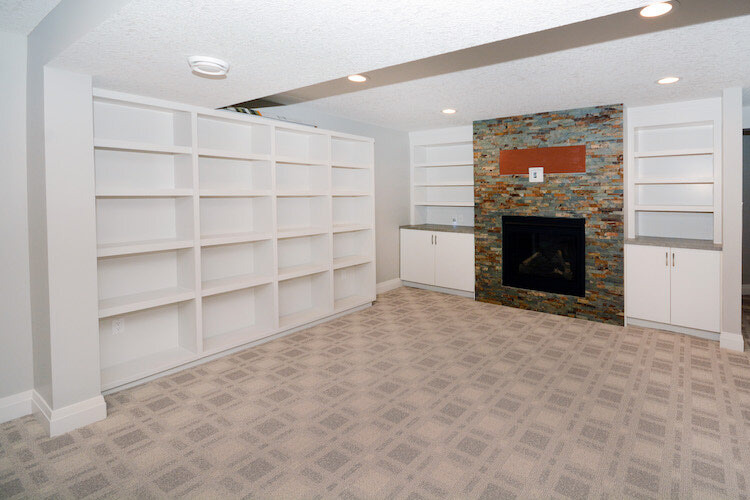 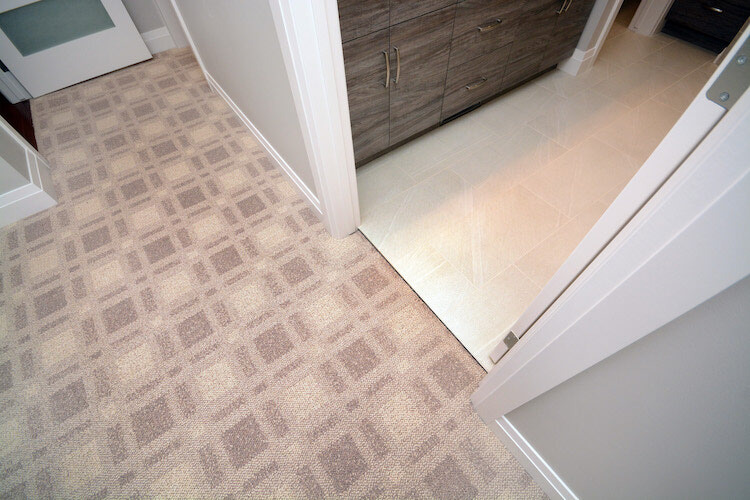 Uniquely patterned carpet called Renville was installed in the basement and up the stairs next to an amazing stone feature wall creating a really neat dynamic to the floors.